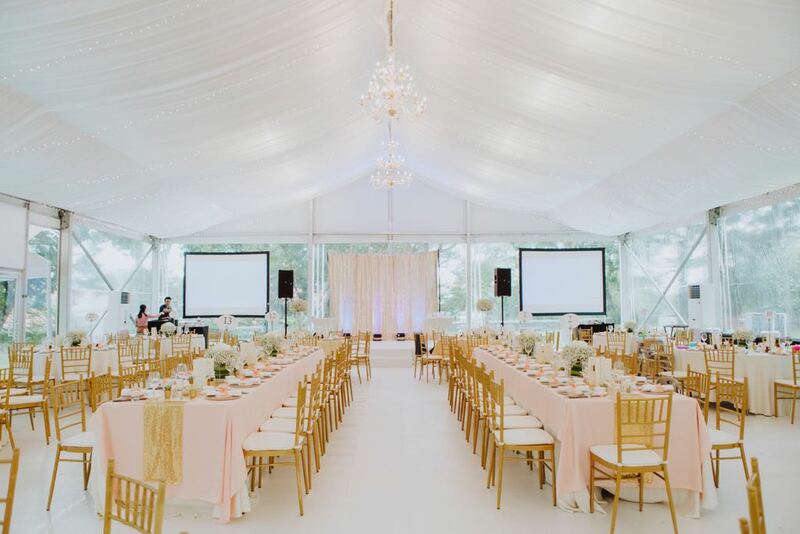 Wedding Venue of the Week: Grand Hyatt | Rosette Designs & Co. Right smack in the busiest district in Singapore, Grand Hyatt is one of the easiest hotels to get to. 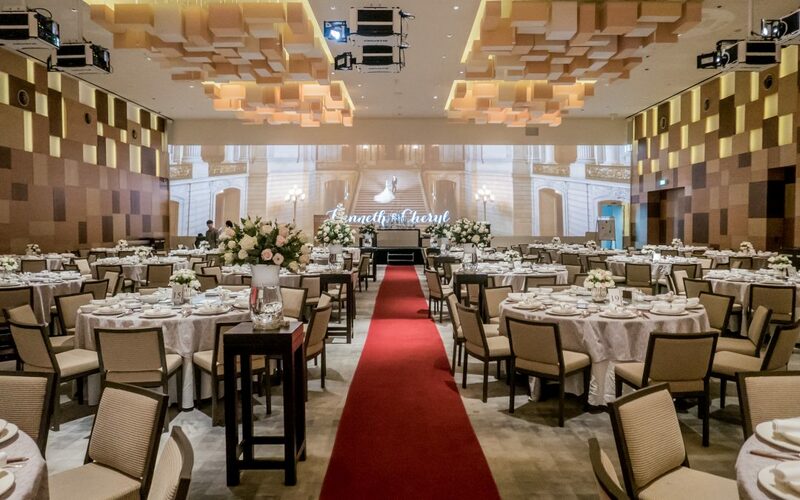 Our current wedding venue of the week is just a short walk from Orchard MRT station, the hotel can host intimate weddings for a handful of guests to 360. The sumptuous food, attention to the smallest detail and amazing service is why Grand Hyatt is this week’s wedding venue. Our planners love the retro-looking geometric wallpaper and ceiling installation in this wedding venue! 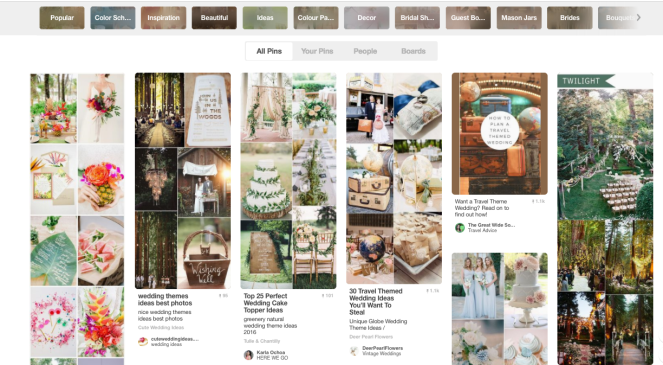 The neutral browns and beige compliment the pastel theme wonderfully but also gives you a chance to explore more themes. Retro wedding decor anyone? If you have ever felt that some guests might not be cut off from viewing your tear-jerking wedding videos do not fret. Hyatt solved that with the large projector that envelops the entire front wall so that even from the back, guests can admire your pictures or videos. 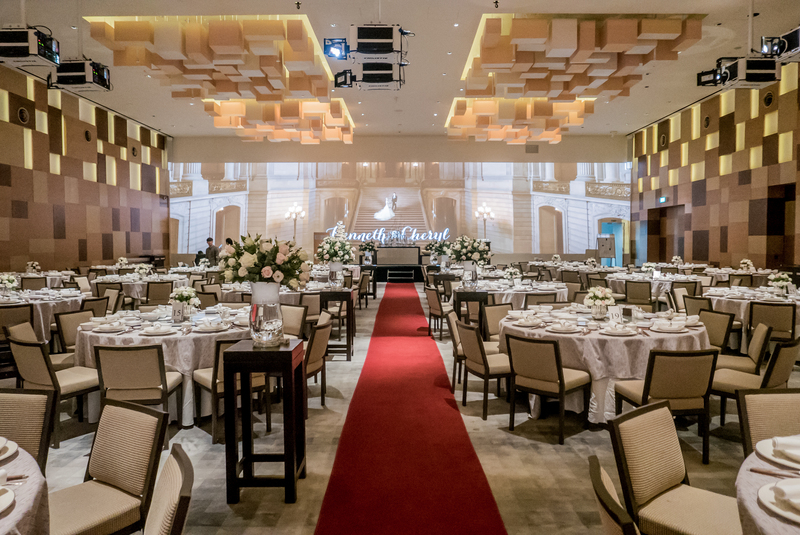 The large space Grand Hyatt has makes their event spaces one of the most spacious ones in Singapore. You’ll never have a cluttered area with Hyatt. So, you can have ‘the works’! 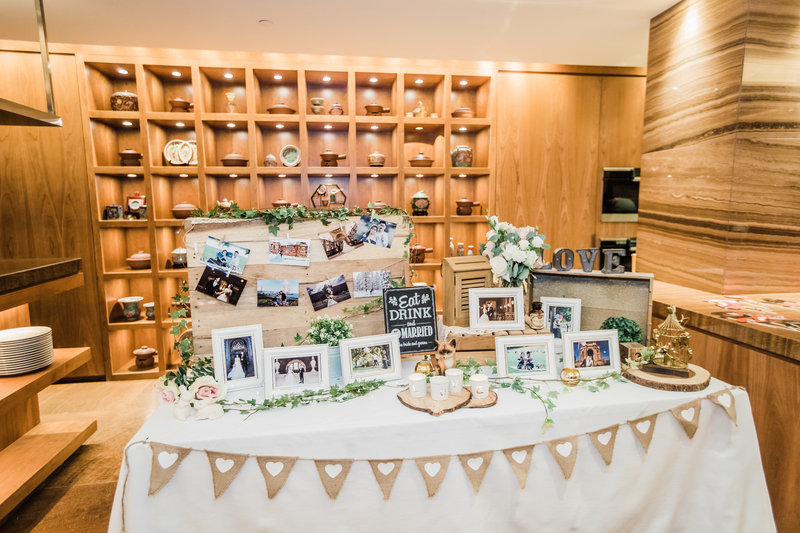 Wedding decor such as a large reception table, a photo gallery showcasing your journey as a couple, a wishing table for your loved ones to jot down sweet sentiments, a dessert table for those with a sweet tooth, and a photobooth for your guests to take home a memento; need I go on? Plus look at that reception table! Most of them are simple tables with a table cloth but Grand Hyatt has an amazing wooden counter. Make use of the wood accents with a lovely rustic theme! This rustic signage is one of the prettiest wedding decor items our planners have styled! 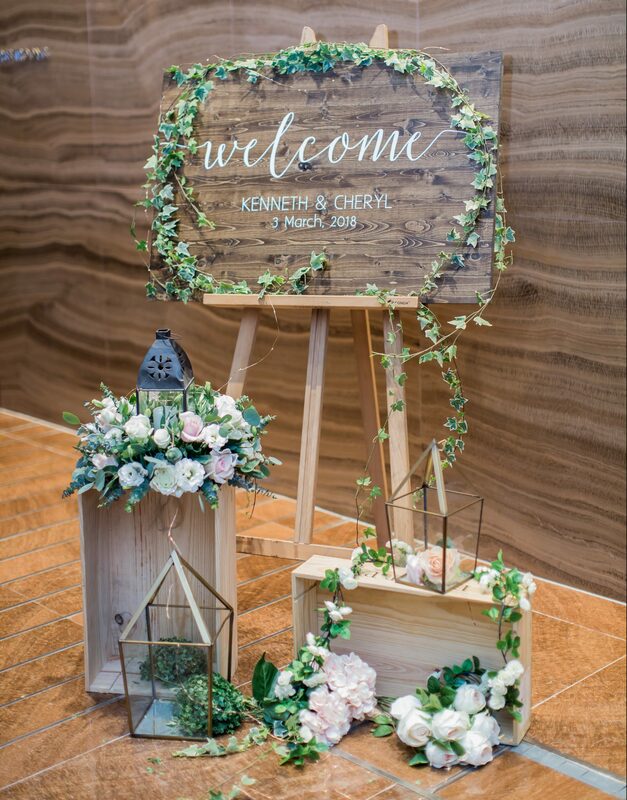 The wooden board and easel matched the venue so well it looks as if it was made for that wedding venue. We dressed it up using some foliage and florals draped across wooden boxes to create height and dimension. A picture-perfect sign that guests will never miss. Don’t use a table cloth to hide the table! 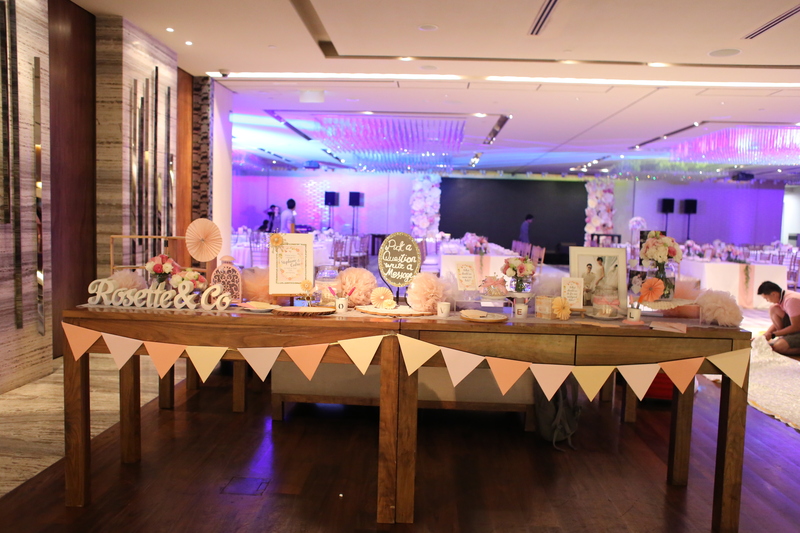 It’s a perfect accent to the pastel theme wishing table. Our wedding planners strung the coloured flags across to tie the table into the overall look and feel to the wedding. Or do use a table cloth! Adding a white table cloth to the photo gallery makes it stand out in the wedding venue. It’s sure to draw your guests over to this wedding decor item to view snaps of your love before the wedding starts. 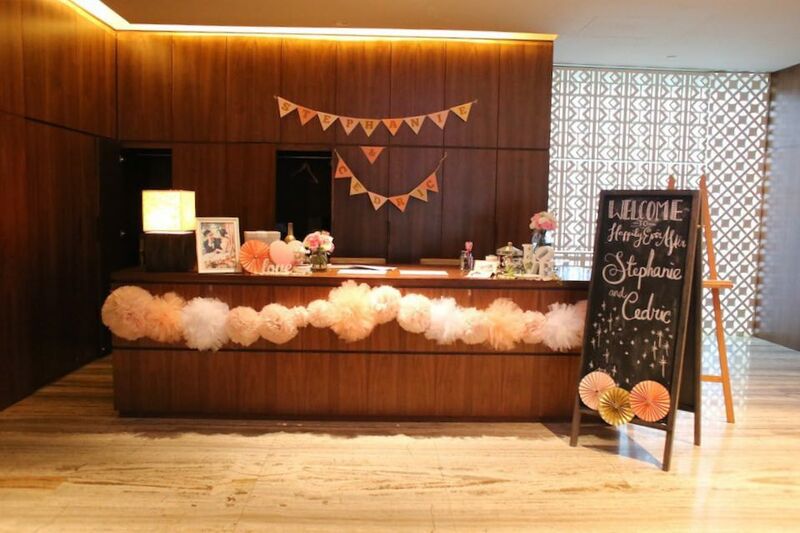 There are so many things you can do with Grand Hyatt, wedding planners and stylists have lots wedding decor ideas. The high ceilings, nearly unbeatable location and spacious ballrooms is why Grand Hyatt is the current wedding venue of the week!